Is that a japanese Me 262? Edited by poisonousblood, 15 April 2018 - 08:17 PM. there are enough premium planes. we need fix for FPS issue, connectivity issue. played 60k games in WoT and never had problem with wireless connection. Here I am playing against only one player in wired connection and there, lags and due to lag, fps drops to 21. Edited by poisonousblood, 15 April 2018 - 08:18 PM. So I guess, you never experienced any fps drop? I do experience this. and I agree with you about the comparison of wot's to wowp I have about 40K games of WOT"s and never had issue number one... but what I didn't do... Is hijack a thread about a premium plane and act like my problems were so important that we should ddrop everything and focus on ME!!! No time for premium planes, no time for expanded tech tree, no time for anything BUT ME! 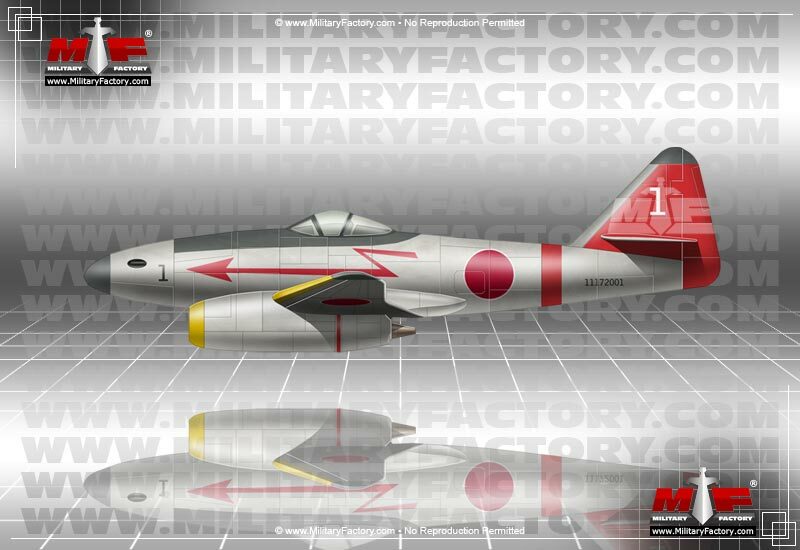 ​Ki-201 could be part of a mini-branch of Japanese heavy fighters that will specialize in bomber interception. Edited by J311yfish, 15 April 2018 - 10:20 PM. Honestly, we already have a Me-262, I'd rather see some of the Japanese aircraft that were actually built and used in WWII and aren't in the game yet. The Shiden Kai would make a nice tier 7 probably, the Raiden would do ok at tier 5 or 6, and the Toryu would probably fit in at tier 4 or 5. They do this with a few different planes. I just thought that would make a fun Japanese plane. I didn't realize that it had been in the works previiously, but I have not been around as long as some. Excellent suggestions all around. Thanks for the info! We are researching new planes and new Premium and Tech Tree planes daily, so keep an eye out! Well I bet you guys are glad that the community gets in on this too. Oh, Definitely! Some of our best suggestions come from the Community! I have to agree. New planes are cool, yes. New trees and new nations might also be interesting (Italy? France?) But game stability and functionality should be #1. A new, shiny toy, or a new event should be held off until some of the stuff that's broken can be fixed. And my that should be part of every conversation discussing new planes and types of planes? Yes, a bunch of bombers in the tech trees would be cool, but first, let's talk about game stability and control/display options first? So I see a bunch of people asking for game fixes over planes and events. If you get a recall notice for your car do you get mad that they are still pumping out cars while there are cars on the road that have catastrophic issues? No because manufacturing the cars and repairing the cars are two different departments. Game stability and new plane research and development are separate departments as well. So you are saying one department should sit idle while the other flashes out issues with the core game. No, I'm saying that energy and focus should be put into game stability/interface before dreaming up more code for events and planes. Or maybe emphasis on a higher quality end product, and less cranking out of production. Not stop one or the other, but *focus* on one OVER the other.